Flaxseed, also known as linseed, is native to Mediterranean areas of the world and was extensively used during ancient Egyptian times. It is most often used for the fibers it produces which can be used and spun to make cloth. The plant also produces shiny, brown, oval shaped seeds which can be harvested for the beneficial oils they produce. Different parts of the plant can also be used to produce a tea which can be consumed for the various health advantages that it has to offer. Flaxseed tea is excellent for providing important health components such as omega fatty acids, lignans, and fibers that can help improve the health of the body. There are many different uses for this particular tea, though these are some of the main and most effective uses. Flaxseed tea is very good in helping to cleanse the digestive system which can help with many problems that are related to gastrointestinal health. For those that are suffering from digestive problems like diarrhea, constipation, or other intestinal related problems, drinking a cup of flaxseed tea can be a good way to relieve these problems. This tea is also good for soothing abdominal cramps, as well as improving the health of the kidneys and bladder. Another great benefit to drinking this tea is that it can help improve cardiovascular function in the body. 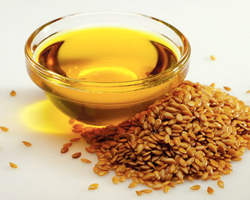 The fatty acids that are present in flaxseed tea help to prevent serious issues such as particular diseases that can present themselves in the heart. Flaxseed tea can help reduce inflammation and has been shown to have a positive effect in improving the health of the arteries which can be a benefit to the heart as well as to the rest of the body as well. Drinking this tea may also help to lower cholesterol, which can further help to reduce ailments related to the cardiovascular system. Flaxseed tea contains hormone phytoestrogens which gives it benefits that can be used by women who are experiencing problems such as premenstrual symptoms as well as symptoms of menopause. Some of the symptoms that this tea can help with are hot flashes, headaches, and mild aches and pains. Studies have also shown that this tea may have benefits in preventing certain cancers in women specifically such as ovarian and breast cancer. To prepare flaxseed tea, allow one tea bag to steep covered in hot water for a period of 2 to 4 minutes. Sugar, honey, or lemon can be added afterwards for additional taste if desired. If you are pregnant, nursing, or on any prescription medications it is advised to contact your doctor prior to drinking this tea. These benefits are just a few of many other advantages that flaxseed tea can offer you. This tea has also been shown to have beneficial effects for symptoms related to depression, heartburn, cold and flu, and it can even improve the condition of your hair and skin when it is used externally. The therapeutic compounds that can be found in flaxseed are what make it particularly effective for helping to heal certain issues. 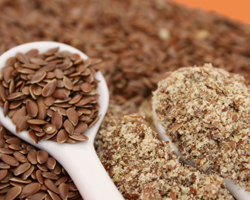 Some even claim that flaxseed is a super nutrient, working as a great supplement to improve the health of the body by offering certain compounds that can’t be obtained easily otherwise. 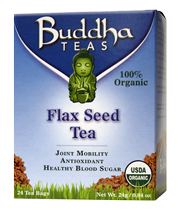 If you are interested in purchasing flaxseed tea, you may be able to find it in certain health food stores, though it may be far more convenient to purchase this particular tea online. There are many tea merchants on the internet that offer this tea, but we highly recommend Buddha Teas as a reliable tea seller that you can take comfort in relying on. 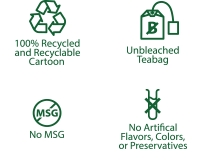 Buddha Teas sells 100% organic teas that are packaged in bleach free tea bags so that you can drink your teas without the concern of being exposed to unwanted chemicals like dioxin. We sincerely hope that this article has been informational and able to answer any questions you may have regarding flaxseed tea. However, if you have any further inquiries, you are welcome to contact us for additional information and we will be happy to help. Buy Flax Seed Tea Wholesale and Retail. Find more information about seeds, nuts and other berries. Stay educated about how to properly care for your body.